The How To of a Metabolic Syndrome Diet – What are we talking about when we say Metabolic Syndrome? Metabolic syndrome, also known as insulin resistance, syndrome X, metabolic syndrome X, cardio-metabolic syndrome, insulin resistance syndrome, Reaven's syndrome, and CHAOS, if you live in Aus, is a constellation of symptoms. Collectively, it indicates a problem with how your body, including your liver, pancreas and other organs deal with food. In short, it is a condition of excess energy intake and dysfunctional energy storage and metabolism. You'll need a metabolic syndrome diet to set things right. The How To of a Metabolic Syndrome Diet – Why care? Why care about metabolic syndrome and, for that matter, a metabolic syndrome diet? Metabolic syndrome raises big time your risk of cardiovascular disease and a host of conditions ranging from obesity to male and female infertility, psoriasis to diabetes …. If that’s not bad enough, your risk for dementia and Alzheimer’s also climb. The scariest part of the metabolic syndrome diet discussion is that metabolic syndrome is widespread as tap water. While often associated with being obese or overweight, neither is thought to cause metabolic syndrome. 80% of overweight people suffer from metabolic syndrome: but 40% of normal weight people are thought to as well. According to the US National Health Statistics report of 2009, incidence of Metabolic Syndrome increases with age and BMI. An astounding 34% of the general adult US population over age 20 is thought to have metabolic syndrome. Based on 2012 US census data, the above suggests upwards of 75 million adult Americans have metabolic syndrome. That doesn’t include the kids who are being diagnosed with metabolic syndrome in increasing numbers. Worldwide millions more are thought to suffer its effects, especially in South East Asia where Type II Diabetes is rife and it’s thought a genetic disposition may contribute to these closely related conditions. ...In short, metabolic syndrome is epidemic! 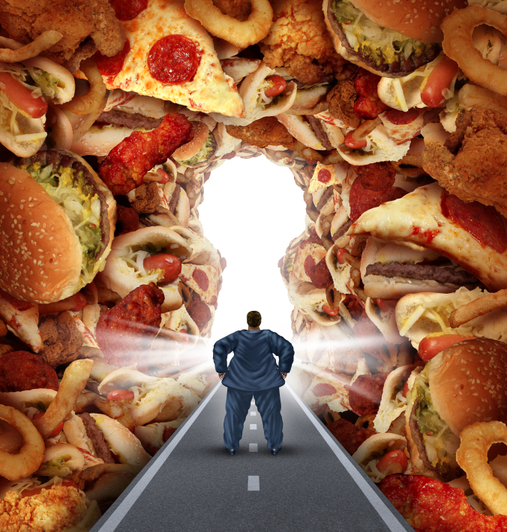 So….you want the bottom line on metabolic syndrome? What’s so bad about Metabolic Syndrome? - Metabolic syndrome is essentially the liver struggling to deal with too much energy coming its way. This can overwhelm its ability to cope – and contribute to fatty liver – a trigger for insulin resistance followed by excess circulating insulin and blood glucose, as well as free radical production. All three can directly damage the liver and metabolic health. As mentioned, it’s not just the overweight and aged among us who have to worry about a metabolic syndrome diet, we all do. …especially if we adhere to the typical Western diet and lifestyle, which is a double whammy when it comes to metabolic syndrome. poor quality fats including trans fats. Second, a sedentary lifestyle, in which it’s the exception, among most people to walk or bike to work; and TV and computer time has replaced outdoor fun for many kids, is the norm. Combine the above and you’ve got a likely case of metabolic syndrome coming on. The sad thing is that metabolic syndrome is no longer just a health problem in developed countries. In the developing world, “progress” seems to involve assuming a Western diet and lifestyle. Unfortunately, the Western chronic disease profile soon comes to theatres near you, starring none other than metabolic syndrome as the villain. Is it any wonder that metabolic syndrome is on the rise worldwide? The How To of a Metabolic Syndrome Diet – What is metabolic Syndrome? If you’ve got 3 of the above 5, you’re considered to have metabolic syndrome. Experts debate precisely which factors and levels of such qualify for metabolic syndrome. For example, the American Heart Association says fasting glucose levels should be no greater than 5.6 mmol/L (100 mg/dL). Others consider high uric acid levels (as happens with gout), excess proteins like albumen and creatinine in urine, and high blood levels of inflammatory C-reactive protein as additional markers of metabolic syndrome. Whatever the details, the consensus is that metabolic syndrome is bad for your health. Cardiovascular disease including increased incidence of arthrosclerosis, high triglycerides, low HDL, heart attack and stroke. Type II Diabetes and the constellation of symptoms that include cardiovascular disease, peripheral nerve damage, eye problems and liver and kidney disease. So much for the bad news! What is insulin resistance? Insulin resistance is when the body loses its sensitivity to insulin, the hormone responsible for shuttling blood sugar into cells. The result is that blood sugar levels rise followed by insulin levels that creep upward but to not effect. Blood sugar levels, in turn, go up .… see the vicious circle? Too much of either hormone can damage the body. Insulin resistance is the hallmark of metabolic syndrome and Type II diabetes. The good news? Most of these factors that contribute to metabolic syndrome can be avoided or reversed with the right lifestyle including a metabolic syndrome diet and regular exercise - neither of which has to be fanatical or off the wall. In most cases a metabolic syndrome diet and regular exercise plan can stop metabolic syndrome in its track and, in the best scenario, lead to renewed metabolic health. The How To of a Metabolic Syndrome Diet – What is it? As mentioned, metabolic syndrome is a condition of dysfunctional energy production and storage. The major player in all of this is the liver. “The liver?”, I hear you asking. What does the liver do? The liver has two major roles. 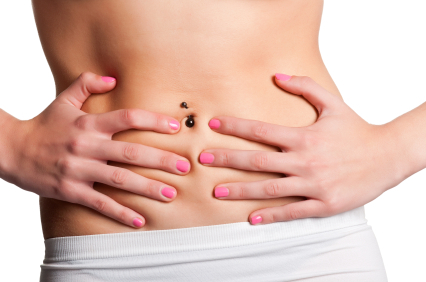 First is as our main organ of detoxification to deal with the by-products of food, drug, chemical and alcohol digestion. Second, is to make sure the energy from these substances gets into the cells where it can be burned as metabolic fuel by the mitochondria. In addition, the liver stores for later use any excess energy not burned immediately. If you’re like I am, the liver is a part of the body I seldom consider, except when the word “alcohol” and too much of it comes up. When was the last time you thought about how your liver was doing, let alone what it actually does? With metabolic syndrome, fatty deposits and inflammation accumulate in the liver. These reduce its efficiency and trigger a series of hormonal and metabolic changes that lead to organ damage and disease. When we burn all we eat and drink, the liver generally keeps up. This is especially the case among the most active of us including elite athletes and the gym rats you see striding to China on the Stair Master. According to some experts, the problems start when more energy is consumed than we can use. The body must deal with the excess. shunted into the blood as triglycerides. A liver strangled with fat deposits has a diminished ability to metabolize carbohydrates and perform its other functions. What's wrong with too much insulin?– High levels of circulating insulin as occurs with insulin resistance and metabolic syndrome are bad news on a number of fronts. They contribute to increased risk of polycystic ovarian syndrome (PCOS), liver inflammation; cancer; arterial damage; high blood pressure; and Alzheimer’s. Liver metabolism, by its nature produces free radicals aka reactive oxygen species (ROS) which contribute to inflammation. By consuming enough anti-oxidants, we can mop up these free radicals and avoid damage on a cellular and DNA level. The problem is the typical Western diet, deficient in unprocessed grains, vegetables, nuts and seeds, is antioxidant starved. Together, fatty liver and inflammation contribute to development and progression of insulin resistance and its first cousin metabolic syndrome. When the body no longer responds to insulin, carbs, especially refined ones, can send your blood sugar skyrocketing following by sky high insulin levels that have no effect. The next stop on the train after metabolic syndrome is Type II Diabetes and its cascade of complications including cardiovascular disease, high blood pressure, cancer and dementia. What’s wrong with high blood sugar levels - excess blood glucose, whether because of insulin resistance, as in the case of Type II diabetes, or an absence of insulin, as with Type I diabetes, can damage the body and its system myriad ways including the following: decreasing the number of white blood cells and immune function generally; damaging blood vessels along with peripheral nerves; and promoting inflammation. Robert Lustig, the paediatric endocrinologist and author of Fat Chance and the presenter of the talk the Sugar – The Bitter Truth explains how the following substances can become liver-toxic-metabolic-syndrome-promoting-substances, if the dose is big enough. Unfortunately, he describes how the current Western diet is chock-a-block with these foods. He singles out fructose and sugar as arch enemies in the Metabolic Syndrome epidemic along with alcohol, branch chained amino acids and trans fats. Their sheer numbers in our diet overwhelm our liver which simultaneously has to wrestle with an onslaught of refined carbs. Here is his list of major culprits in the metabolic syndrome epidemic. Why Fructose Rich Food Won’t Make you Feel Full: Fructose messes with your normal appetite control system. Fructose doesn’t reduce ghrelin levels, an appetite triggering hormone, like other foods. Eat fructose laden treats and you won’t feel full. Fructose (the sweet in sugar) is now ubiquitous in the processed foods made in the US including sodas, salad dressings, breakfast cereals and most prepared sauces and soups. Sucrose aka table sugar is not much better – it’s 50% fructose and 50% sucrose, so provides a double whammy – raising blood glucose levels plus contributing to fatty liver and insulin resistance. Trans fats contribute to fatty liver. They are in most commercial baked goods and fast food and restaurant meals but not in NYC where trans fats are banned in restaurants. Branch chained amino acids, such as contained in corn and animals fed the same, can be a problem for liver health. Dr. Lustig who refers to studies that show that those suffering metabolic syndrome routinely have higher blood levels of these substances than healthy subjects. They are rife in fast food. Alcohol – This is no surprise. Too much alcohol can overwhelm the liver and promote fat deposits, which lead to insulin resistance and metabolic syndrome. One exception to this is red wine in moderation, which has been found beneficial, possibly because of the antioxidants, including resveratrol that may protect the liver. So why is fructose such a bogeyman when it comes to metabolic syndrome? Bottom line is that, while fructose does not raise blood sugar like glucose, it’s a problem if consumed in excess, which it is in the US. Cells metabolize fructose like they do dietary fats. Any excess not burned is converted into fat deposits in the liver and triglycerides in blood. Fructose occurring naturally in fruit is not a problem because it is generally a minor component and is combined with natural fibre that adds bulk, supresses appetite and slows absorption of food - all good things when it comes to liver health. Alcoholic Fatty Liver Disease aka non-alcoholic steatohepatitis is a serious and widespread condition related to metabolic syndrome and characterized by fatty liver and inflammation. It can lead to cirrhosis and liver failure. Okay, enough about metabolic syndrome and how too many people have it and all that can go wrong because of it. What do you do to avoid and reverse it once you suspect you’re at risk? In short a metabolic syndrome diet is a liver friendly diet. Essentially, avoid processed food and beverages with added sugars including fructose or concentrated natural sugars, like fruit juice and smoothies. The problem with these is that the fiber and/or anti-oxidant micro nutrients routinely have been removed or destroyed and/or sugar or fructose added. Further, processed food is bereft of healthy Omega 3 fatty acids. Press here for more on Omega 3 Benefits and Omega 3 Foods. Instead, eat a whole foods diet containing unprocessed grains, legumes, fruit and vegetables that retain their natural fiber and anti-oxidants; along with sufficient healthy fats including enough Omega 3 fatty acids from nuts, seeds and fish or their cold pressed oils. What are Whole Grains? When it comes to whole grains you’ll have to go behind the packaging. 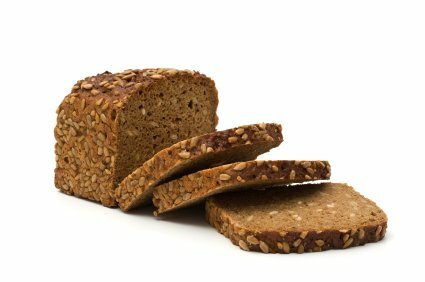 Current FDA labelling laws permit a food with less than 1% whole grains to be labelled whole grain. You can guestimate the actual amount by how far down the ingredients list the grain is. Overall fiber percentages may also give clues. Better yet, avoid refined foods like packaged breakfast cereals in favour of less processed grains like old fashioned oats, barley, quinoa and brown rice. If you follow the above guidelines, you’ll cut most processed foods in which fiber and micro-nutrient removal and destruction and the addition of caloric sweeteners like fructose and sucrose is the norm. Remember, when it comes to metabolic syndrome diet, 100% fruit juice is as much a problem as sugary soda, because the fiber has been removed or dismembered, leaving a liver-immobilizing hit of fructose. Always eat the whole fruit instead of drinking the juiced version. First, more anti-oxidant micronutrients are retained than if the fruit or veg is processed. Second, the fiber tempers the glycemic effect of the sugar and liver punch from the fructose. Still confused about metabolic syndrome? Follow the below ten tips – Five Dos and Five Don’ts for a metabolic syndrome diet and you’ll be a long way towards avoiding or reversing metabolic syndrome. Eat foods that don’t rock the blood sugar boat. Aim for a low GL diet. Click here for more on a Low GL Foods to Balance Blood Sugar and Low Glycemic Diets. Focus on getting enough anti-oxidant rich foods including a surfeit of multi coloured fruits and vegetables. They are anti-oxidant rich and, therefore, anti-inflammatory and liver friendly. When it comes to the liver and pancreas make sure you consume on a daily basis cruciferous vegetables like cabbage, broccoli and arugula. Click here for more on an anti-inflammatory diet. Consume enough fiber rich foods including unprocessed fruits and vegetables, and less processed whole grains and legumes. Fiber slows metabolism and, therefore, lessens the glycemic effect of a food. It lowers triglycerides and raises good HDL cholesterol. Click here on tips for lowering cholesterol. Eat enough Omega 3 fatty acids to ensure a healthy ratio of Omega 3 to Omega 6 fats. Press here for more on getting enough Omega 3 fats as well getting your Omega 3-Omega 6 ratios right. Exercise regularly. This enhances the function of existing mitochondria and, through muscle building, increases overall numbers. Together this decreases blood pressure and improves insulin sensitivity. Avoid foods and beverages with added sugar and fructose like sodas and packaged breakfast cereals or concentrated natural sugars. Sucrose or table sugar is 50% fructose and 50% glucose so hits the liver on two fronts. Sodas and fruit juice are especially taxing on your liver because they can deliver a huge hit of fructose without the moderating influence of fiber and the antioxidants, which the whole fruit gives. Many processed foods routinely contain fructose in the form of added sugar, high fructose corn syrup or concentrated natural sugars like in 100% fruit juice. Press here for more on inflammatory foods that are best to avoid. 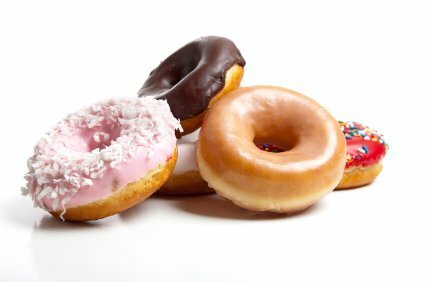 Avoid trans fats found routinely in fast food and commercial baked goods. Trans fats are not metabolized like naturally occurring fats. Instead, thy gunk up your liver and contribute to insulin resistance. Press here for more on consuming healthy fats and avoiding unhealthy fats. Minimize alcohol. While moderate intake of red wine has been found beneficial, in part because of the antioxidant effect of resveratrol, too much can tax your liver and contribute to fatty liver and insulin resistance. Minimize foods full of branched chain amino acids like corn products and animals fed same including most commercially raised livestock. Buy free range or pastured meat and dairy products. Minimize your intake and exposure to pesticides, hormones, toxins and other chemicals including prescription and non-prescription drugs and xynoestrogen products. All of these have the potential to overtax your liver and promote inflammation or metabolic problems. Press here for more on the benefits of organic food and a breast cancer diet for how excess hormonal substances can harm your health. Good luck and all the best in achieving your metabolic syndrome diet. Press here for more healthy diet tips that can be part of a metabolic syndrome diet. Press here for info about diabetes and diet. Press here for more about comparing the most popular diets for Type 2 Diabetes. Press here for for more on low GL foods to balance blood sugar. Press here for more about low glycemic diets.